Broad consensus exists about the value and principles of primary care; however, little is known about the workforce configurations required to deliver it. The aim of this study was to explore the team configurations and associated costs required to deliver high-quality, comprehensive primary care. We used a mixed-method and consensus-building process to develop staffing models based on data from 73 exemplary practices, findings from 8 site visits, and input from an expert panel. We first defined high-quality, comprehensive primary care and explicated the specific functions needed to deliver it. We translated the functions into full-time-equivalent staffing requirements for a practice serving a panel of 10,000 adults and then revised the models to reflect the divergent needs of practices serving older adults, patients with higher social needs, and a rural community. Finally, we estimated the labor and overhead costs associated with each model. A primary care practice needs a mix of 37 team members, including 8 primary care providers (PCPs), at a cost of $45 per patient per month (PPPM), to provide comprehensive primary care to a panel of 10,000 actively managed adults. A practice requires a team of 52 staff (including 12 PCPs) at $64 PPPM to care for a panel of 10,000 adults with a high proportion of older patients, and 50 staff (with 10 PCPs) at $56 PPPM for a panel of 10,000 with high social needs. In rural areas, a practice needs 22 team members (with 4 PCPs) at $46 PPPM to serve a panel of 5000 adults. Our estimates provide health care decision-makers with needed guideposts for considering primary care staffing and financing and inform broader discussions on primary care innovations and the necessary resources to provide high-quality, comprehensive primary care in the USA. The online version of this article ( https://doi.org/10.1007/s11606-018-4530-7) contains supplementary material, which is available to authorized users. The authors would like to acknowledge the valuable contributions of all participating primary care practices who contributed staffing data, expert panel members who offered critical input in the model development process, and Robert McNellis, Janice Genevro, Theodore Ganiats, and Richard Ricciardi of the Agency for Healthcare Research and Quality (AHRQ) for their valuable comments. Special thanks also to MaryJoan Ladden and the Robert Wood Johnson Foundation for providing access to data and insights from the Learning from Effective Ambulatory Practices project. This manuscript is based on the research conducted by researchers at the Agency for Healthcare Research and Quality (AHRQ) and Abt Associates in partnership with the MacColl Center for Health Care Innovation and Bailit Health, LLC, under an AHRQ contract (Contract Nos. 290-2010-00004-I/290-32009-T). The findings and conclusions in this document are those of the authors, who are responsible for its contents; the findings and conclusions do not necessarily represent the views of AHRQ or the U.S. Department of Health and Human Services. This work was previous presented partially at the Academy Health Research Meeting in Boston, Massachusetts, on June 2016; at the American Public Health Association meeting in Denver, Coronado, on November 1, 2016; and at the Academy Health Research Meeting in New Orleans, Louisiana, on June 25, 2017. Patient-Centered Primary Care Collaborative. Shared principles of primary care: moving the United States toward a vibrant future of person-centered, team-based, and community aligned primary care. Available at: https://www.pcpcc.org/about/shared-principles. Accessed May 11, 2018. 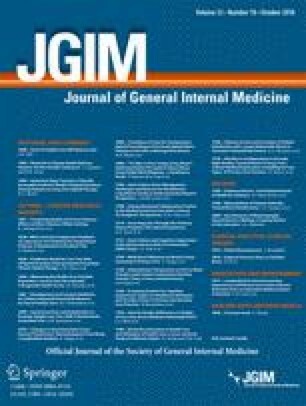 Jabbarpour Y, DeMarchis E, Bazemore A, Grundy P. The impact of primary care practice transformation on cost, quality and utilization: a systematic review of research published in 2016. Available at: https://www.milbank.org/news/patient-centered-primary-care-collaborative-publishes-new-evidence-report/. Accessed May 11, 2018. Agency for Healthcare Research and Quality. Primary care transformation. Available at: https://www.ahrq.gov/professionals/systems/primary-care/tpc/index.html. Accessed May 11, 2018. Agency for Healthcare Research and Quality. Redefining primary care for the 21st century. Available at: https://www.ahrq.gov/professionals/systems/primary-care/workforce-financing/white-paper.html. Accessed May 11, 2018. Agency for Healthcare Research and Quality. AHRQ new models of primary care workforce and financing. Available at: https://www.ahrq.gov/ncepcr/primary-care-research/workforce-financing/exec-summary.html. Accessed May 11, 2018. Ortman JM, Velkoff VA, Hogan H. An aging nation: the older population in the United States: population estimates and projections, 2014. Available at: https://www.census.gov/prod/2014pubs/p25-1140.pdf. Accessed May 11, 2018. Bureau of Labor Statistics. May 2015 national occupational employment and wage estimates. Available at: http://www.bls.gov/oes/current/oes_nat.htm. Accessed May 14, 2018. Peckham C. Physician compensation report 2015. Available at: http://www.medscape.com/sites/public/physician-comp/2015. Accessed May 11, 2018. Peckham C. Medscape nurse salary report 2015. Available at: http://www.medscape.com/features/slideshow/public/nurse-salary-report-2015. Accessed May 11, 2016. Peckham C. Clinical and office staff salary report 2015. Available at: http://www.medscape.com/features/slideshow/public/staff-salary-report-2015#page=1. Accessed May 11, 2018. Oregon Health Authority and the Department of Consumer and Business Services. Primary care spending in Oregon, 2014. Available at: http://www.oregon.gov/oha/HPA/CSI-PCPCH/Documents/2017%20SB231_Primary-Care-Spending-in-Oregon-Report-to-the-Legislature.pdf. Accessed May 11, 2018. Center for Medicare and Medicaid Services. National health expenditures 2015 highlights. Available at: https://www.cms.gov/Research-Statistics-Data-and-Systems/Statistics-Trends-and-Reports/NationalHealthExpendData/downloads/highlights.pdf. Accessed May11, 2018. Bailit MH, Friedberg MW, Houy ML. Standardizing the measurement of commercial health plan primary care spending. Available at: https://www.milbank.org/wp-content/uploads/2017/07/MMF-Primary-Care-Spending-Report.pdf. Accessed May11, 2018. Watkins LD. Aligning payers and practices to transform primary care: a report from the multi-state collaborative. Available at: https://www.milbank.org/publications/aligning-payers-and-practices-to-transform-primary-care-a-report-from-the-multi-state-collaborative/ . Accessed May 11, 2018.